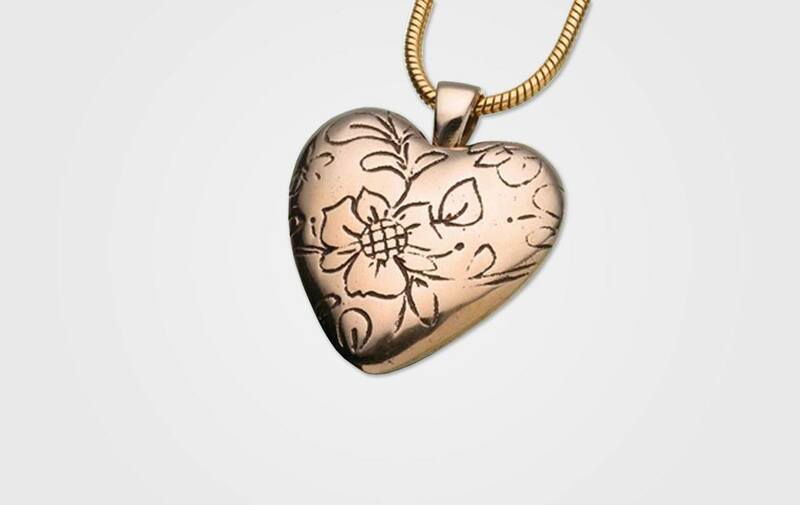 The delicate floral design is etched into the high polish finish on the front of this heart. Its subtle antique finish highlights this design. It fills through a threaded screw top. The back has a satin finish that can be engraved with two lines. Max 8 characters engraving. 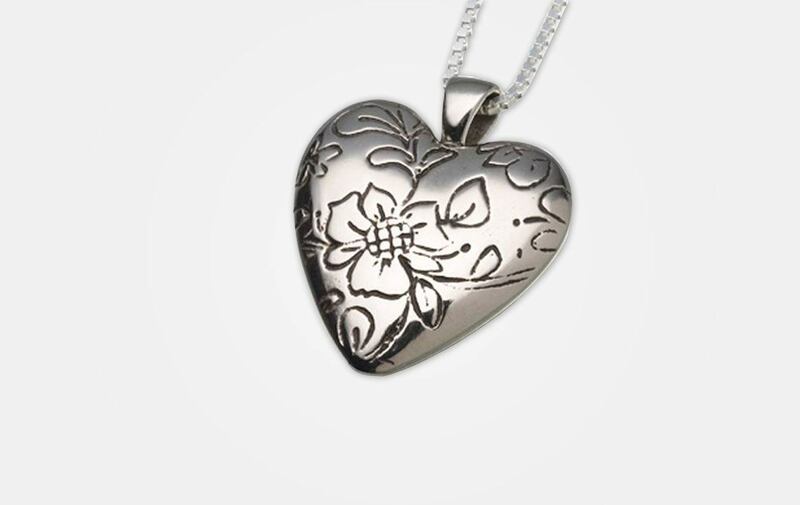 There is an additional cost of $31.00 for engraving.